Here are the most popular hotels that are less than 30 meters from the exits of Myeongdong Subway. This is one of the newest hotel in Myeongdong. 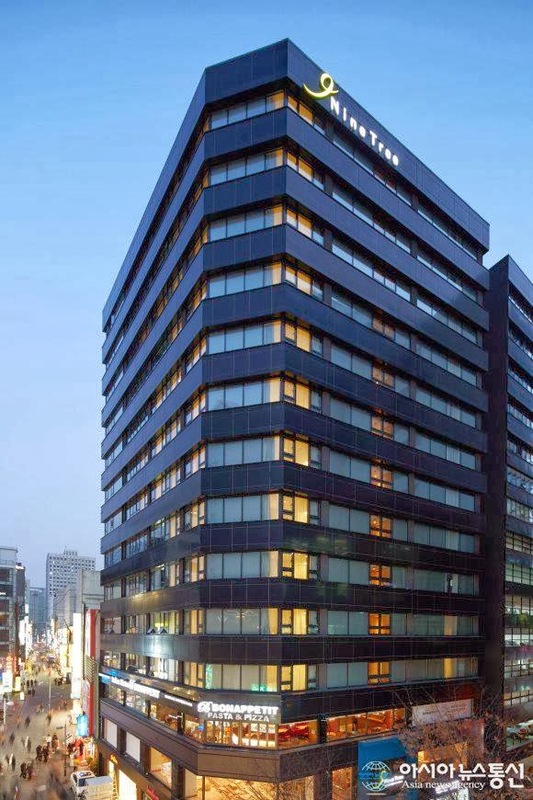 Strategically located in Myeong-dong, Nine Tree Hotel Myeong-dong is the ideal base for you to explore Seoul. Nine Tree Hotel within walking distance to Chunjiyun Spa and Shinsegae Department Store.The staff are also very helpful and can speak English, Mandarin, Japanese very well. They are more than happy to help you with directions to various shops and restaurants in Myeongdong. In addition, you can also buy and top up the T-Money card for Seoul Subway from the reception counter here. Once every month, they run Nine Tree Jeans Day where guests wearing jeans will be offered free breakfast or other goodies. For guests arriving through Shuttle Bus 6015 from Incheon Airport, once arriving at "Myeongdong Station", walk downhill a few steps downhill until you see a bakery called "Tours Les Jours", turn right to the alley / street. Nine Tree Hotel is 20 meter in front of you. Turn right into the street when you see Tours Les Jours Bakery. Nine Tree Hotel is the black building behind. For guests arriving through Myeongdong Subway Station, exit the station through EXIT 8 and walk straight for less than 10 meters before turning left to the first alley / street when you see a bakery "Crown Bakery". Nine Tree Hotel is 20 meter in front of you. From EXIT 8 of Myeongdong Subway, turn left into the alley. Nine Tree Hotel is 10 meters in front of you. Due to its popularity among visitor to Myeongdong, Nine Tree Hotel is always fully booked especially during peak season. Therefore, early booking is advised. If your travel agent cannot find a room for you at this hotel, try to book online at Agoda.com. They pre-book a lot of rooms at Nine Tree Hotel for their online booking service due to the high demand. They could offer lower room rates too due to their bulk pre-booking. For first time visitor to Seoul, Sejong Hotel used to be the best choice because Shuttle bus from Incheon and Gimpo Airport stops right in front of this hotel in Myeongdong. HOWEVER, EFFECTIVE 19 SEPTEMBER 2014, the bus station have moved downward about 70 meter from the entrance of this hotel. Having said that, it is still a popular choice because in front of this hotel is also EXIT 10 of Myeongdong Subway Station. The only drawback of this hotel is that it is quite old. 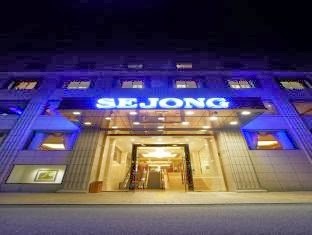 Having said that, the Sejong Hotel is still well maintain and kept up to standard of its class. 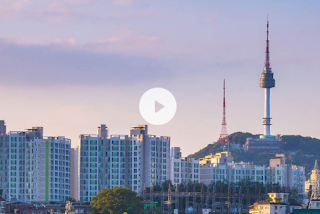 Apart from enjoying shopping, food and sightseeing in Myeongdong, guests can also climb Namsan mountain which is located across the hotel to enjoy the panoramic view of Seoul at the peak of N Seoul Tower. From Myeongdong Subway station you can easily reach Cheonggyecheon, Korean House, Duksukung, Insadong and Bukceon Korean House. 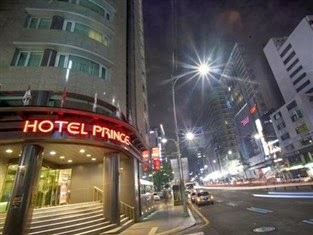 Prince Hotel is the most popular hotel among Westerners visiting Myeongdong. Located across the main road from Myeongdong shopping district, Prince Hotel is located right in front of EXIT 2 of Myeongdong Subway Station. Myeongdong shopping district is just a zebra cross away. Even though Price hotel is quite old, its rooms have been recently renovated. Despite being a modern hotel, it still keeps traditional Korean features such as under-the-floor heaters and themed rooms such as the White Suite make your stay here memorable. There is also a taxi stand in front of this hotel, making it one of the best choice for business travelers among Myeongdong hotels. Here they are, three hotels nearest to the Myeongdong Subway Station, and of course, the trendy and happening Myeongdong shopping district. Before you proceed, please be forewarned that hotel rooms at Myeongdong are typical very small for the very reason that Myeongdong is the prime location in Seoul. The famous Nanta Theater is located here. Even though there are a lot to do at Myeongdong, it is likely that you will want to explore other parts of Seoul such as Insadong, Dongdaemong, Gangnam etc. during your visit. Getting around in Seoul is easy if you stay near the subway station. Therefore, most people will choose hotels that are nearest to Myeongdong Subway station. Hello,,Thank you so much for your decent list.I had a great stay at Nine Tree.The hotel staffs were well disposed and they attempted however much as could reasonably be expected to make our stay agreeable n suit our request.Have a good day. Hello..we will be going to korea nxt week and staying at Stay B Hotel Myeongdong. Which station should we alight from the airport bus 6015. Hi- We will arrive in Seoul on December 30 and will be staying at Staz Myeongdong 2. We plan to take the Airport Limousine Bus 6015 as per your recommendation. However, I'm not sure which bus stop we should go down. Could you please give me directions from the bus top to the Staz Myeongdong Hotel 2? Thank you. You can go down at Myeongdong Station and walk to Staz Hotel Myeongdong II. The direction of walk is available on their website http : / / www . stazhotel . com / red / 2nd / location / . For your information, Myeongdong Station bus stop is located between EXIT 8 and EXIT 9 of Myeongdong Subway Station. Enjoy your stay in Myeongdong! You have a very well written and informative blog; thanks! I'm planning a first time trip to Seoul with my elderly mother (K drama fan). I'm thinking of the Lotte Hotel Seoul or the new L7 Myeongding as they both seem to have very easy access to the subway and the airport limousine bus stop is at the door step of the hotels. My mother has some difficulties with stairs, so I would really appreciate if you could let me have your thoughts. Many thanks in advance. Hello Mag, both hotel are good ones but L7 Myeongdong is newer. Seoul subway station have lift in the station and escalator to the surface but some Exits have escalator in one direction only e.g. in up direction. Try your best to take note and remember the Exit number that has escalators. There are also disability access at the stations. hello there...i already book UI Hostel,159-8, Toegye-ro, Jung-gu, Jung-Gu, 100-012 Seoul..can u tell me how to go there from Incheon Airport?? Hello yuyu, you can take bus 6015 from Incheon to Myeongdong Station. This bus stop is located between EXIT 8 and EXIT 9 of Myeongdong Subway Station. From there walk about 15 minutes to the hotel. You may refer to the map of UI Hostel from where you book the hostel. Hello Chickenshare! May I know which bus to take if we will be staying at hyundai residences fr incheon airport. We are actually group of 16. Or maybe you have other suggestions which are better than bus? Thanks!!! This is the address of the hotel will be staying in. Plane will arrive at 8:40pm. Address: 22-5, Chungmuro 5-ga, Jung-gu (Seoul City) Thankyou!! The nearest bus stop for airport bus 6015 that I know is Chungmuro Station, but it is some 800 meters of walking away from Hyundai Residences. Maybe you can try to check if van rental at the airport but I have not tried them before. Hi, my hotel is Cozy hotel. Are you still advice me to take 6015 bus from Incheon Airport to the hotel? Yes, you can still take bus 6015 and then get off at Namdaemun Market Bus Stop because Cozy Hotel is near this bus stop. Would like to visit hot spring & ski resort within one day. Any suggestion which place more convenience for us to go? Hello, we will stay at myeongdong area on tge first day. planning to visit nami island, petite france & morning calm arboretum on the 2nd day, and to pyeongchang ski resort on the 3rd day. You can stop at Myeongdong Station for both Bus 6015 and Subway Train. From EXIT 8 of Myeongdong Station walk to K-guesthouse Myeongdong which is about 200 meters away. You can use google map to find direction from EXIT 8 to K-guesthouse Myeongdong. Same thing. The nearest train station is still Chungmuro Station (one station after Myeongdong Station). You still have to walk quite a distance to the Hyundai Residences. hello! Thank you for your detailed information and tips. Me and my friends are planning to stay at Jhill hotel, would this bus stop be near that? Hello, JHill is in the centre of Myeongdong shopping district but it is about 300 meters walk from the Myeongdong Station for 6015 bus and Myeongdong Subway Station. If you plan to use the bus and subway train a lot, you may consider Ninetree Hotel and Skypark Myeongdong III which are about the same price as JHill if you can get the discounted rate on Agoda. Both the bus stop and entry to subway station are just a few steps from these 2 hotels. Hi! We are considering staying at Metro Hotel. How do we get there if we are taking the 6015 bus? Thank you. You can get off bus 6015 at Ibis Myeongdong Hotel, and then walk to Metro Hotel (roughly 200 meters). The walking direction is available here. 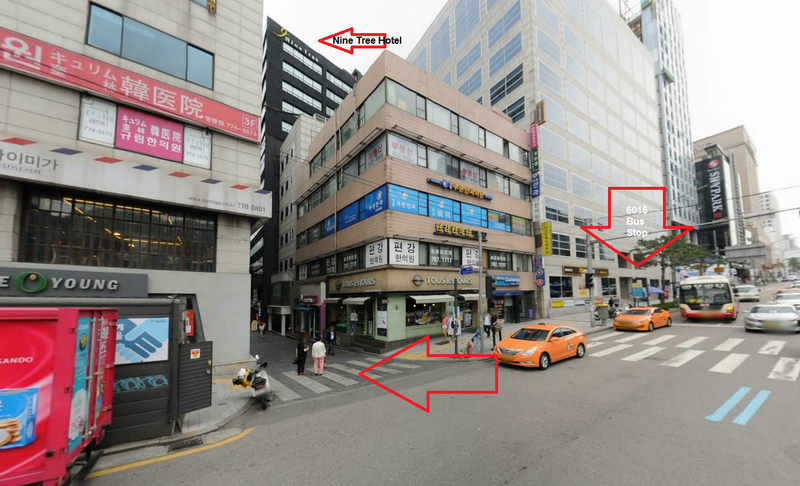 Hi is Myungdong hotel anywhere near where this 6015 bus stops? Yes, it is about 50 meters or so from Namdaemun Market Station for bus 6015. Hi! Would appreciate if you could let me know any airport shuttle bus stop nearby D Seven Suite. Hi at which bus stop should we get off if we are staying at hotel cozy myeongdong? For Hotel Cozy Myeongdong, you can get off bus 6015 at Namdaemun Market Station which is in front of Standard Chartered First Bank. Then walk to Hotel Cozy Myeongdong which is at the left back of Standard Chartered First Bank. Hi, thanks for the great info. I have booked Guest House Myeongdong 141, Toegye-ro, Jung-gu, Jung-Gu, 100-012 Seoul..can u tell me how to go there from Incheon Airport?? Good choice. This hotel is just next to Myeongdong Station Bus Stop where bus 6015 and bus 6001 from Incheon Airport stop. So, you can take either one of these buses from Incheon Airport to get here. After getting off the bus at Myeongdong Station (arrival will be announced in English), you just need to walk in slightly uphill direction for just a few steps until you see Skypark Myeongdong III hotel and Guest House Myeongdong. Hello. Thanks for the info! I have booked a room at Seoul myeongdong house, 47 naamsan-dong 2-ga, jung-gu, myeongdong. May i have your advice is it too far from the myeongdong station bus stop? Thank you so much! I plan to visit korea on Dec 2016.I book the room at "Stay B hotel Myeongdong" (23-1 Chungmuro, Jung-gu,) near Chungmuro MRT station . I will take the shuttle bus from Inchoen airport. Kindly advise the bus number and which bus station I should get off ? thank you so much. If you stay at Stay B Hotel Myeongdong, you can take bus 6015 from Incheon Airport adn get off at Tmark Hotel (Myeong-dong) bus stop to get to your hotel. Welcome to Myeongdong in advance. It should be cold in December. In my opinion, Seoul Green Residence will be more convenient for you to fully experience Myeongdong. You can take bus 6015 from Incheon Airport and get off at Euljiro 1-ga (Royal Hotel) bus stop. If you choose to stay at Star guest oneroom tel, you can take the same bus from Incheon but get off at Namdaemun Market station. Enjoy your stay in Myeongdong. You can walk to the slightly uphill direction on your right after get off the bus for about 150 meter until you reach a big junction. You will pass through EXIT 9 and EXIT 10 of Myeongdong Station on the way. Ibis Styles Ambassador Seoul is near the left of the junction. Is there a name to the accommodation that you booked? I am not sure exactly where this address is but there is a good chance that it is near Chungmuro Station bus stop for bus 6015 from Incheon Airport. Yes, Hotel Prince Seoul is a good choice. Their rooms are larger by Myeongdong standard. Have fun in Myeongdong! Hi your guide is well written. Do you have any other places guide like gangnam and so on? Thank you for the compliment. I only write about Myeongdong at the moment. Here, you can also find guides to go from Myeongdong to many interesting places such as Insadong, Nami Island, Namsan Park, Everland and many more. Hope you will enjoy your visit to Myeongdong! hi. im going to korea next month and will be staying at namsan guesthouse 3. which is the most easiest and convenient transportation to go there? For Namsan Guesthouse 3, you can also take bus 6015 from Incheon and get off at Myeongdong Station bus stop. Then cross the road using the zebra cross and go into the alley between EXIT 2 and EXIT 3 of Myeongdong Station to get to Namsan Guesthouse 3. Enjoy your stay in Myeongdong! Myeongdong Station bus stop is different from Sejong Hotel stoation is it? Cause I read most of the tourists stopped at Sejong Hotel station to go to Namsa guesthouse.. It is actually the same station. Last time people used to call Myeongdong Station as "Sejong Hotel Station" but now there are a few more hotels near this station. So more people refer to this station as Myeongdong Station. Hello. I am staying at Oriens hotel. Which station should I alight? How long does it take to walk from bus stop to hotel? Thanks! By the way, where can I buy the return ticket to Incheon international airport? You can buy on the bus when you catch the bus from Myeongdong to Incheon Airport. Yes, I think the bakery may have a new owner now. It is called Tours Les Jours. Thank you for highlighting the change. We have replaced the photo. Thank you. They should be no problem to take bus 6015 from Incheon Airport with 2 large baggage but you can always leave them at the Airport if they too much of a burden. Get off the bus 6015 at "Tmark Hotel (Myeong-dong)" bus stop. In Myeongdong, I would strongly recommend the Nanta Show at Myeongdong Nanta Theatre. You can book the ticket online. Just click on Nanta Theatre on the blog menu above. Hi could you let me know the bus to take from ICN airport to TMark hotel myeongdong? Is the distance far to walk from the bus stop to the hotel? Thank you! You can take bus 6015 from Incheon Airport and get off at TMark Hotel Myeongdong Bus Stop. This bus stop is one bus stop before Myeongdong Station Bus Stop. Have a good stay in Myeongdong. Thank you for the reply! May i know if the bus stop and the hotel is far apart? As I will be travelling with older travellers I am slightly concerned about the distance. I think it is about less than 200 meters of working. How will i arrive to Myeongdong from Busan Station via ktx? Most probably you will be arriving in Seoul at Seoul Station. From there, take LINE 4 of Seoul Metropolitan Subway to go to Myeongdong Station. Hi, im going to korea this november and will be staying at star guest oneroomtel (26-10, Namdaemun-ro 1-gil, Seoul, SO, South Korea). which is the most easiest and convenient transportation to go there from incheon airport? JS House 1 apartment is very far from Myeongdong. You may have take two trains to reach there or take a taxi. Hi, we will be staying at Philstay 55, Taeheung Bldg.. Can you tell us direction pls from and to incheon airport. Many thanks. I think Philstay at Taeheung Bldg is now known at Step Inn Myeongdong. Anyway, you can take bus 6015 from Incheon Airport to Myeongdong Station to go to this hotel. On the way back, you can also take the same bus at the same station to go from Myeongdong to Incheon Airport. You can take AREX train from Incheon Airport to Seoul Station and then change to LINE 4 Subway at Seoul station to go to Hoehyeon Station. King Kong Hotel is near EXIT 1 of Hoehyeon subway station. Both are equally convenient because the airport bus 6015 stop in front and next to a subway station. 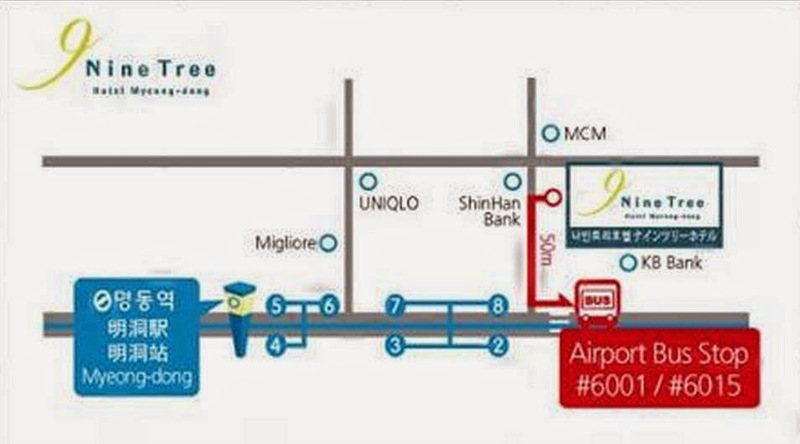 If you plan to go to N-Seoul Tower, Nine Tree Hotel has a slight edge as it is located nearer. Hi could you let me know the bus to take from ICN airport to K-Guesthouse Myeongdong 1 (3F, 103 Toegye-ro, Jung-gu, Seoul)? Is the distance far to walk from the bus stop to the hotel? Is this the best way taking airport bus to here? Thank you! You can take bus 6015 from ICN airport and get off at Myeongdong Station bus stop. Then walk to your left after get off the bus in a slight down hill direction for about 200-300 meters and you will arrive at the hotel. hi, can advise which hotel is more convenient..nine tree or grand myeongdong? and nearer to subway? Hi, we are staying in Loisir hotel. What bus stop to get Loisir hotel if we ride a bus route 6015 and how to get there. Thank you. Hi, I will be staying in Hostel du Temps Passe, Seoul. Could u let me know the bus 6015 can reach this hotel ? and Is the distance far to walk from the bus stop to the hotel? Thank you! For Hostel du Temps Passe, Seoul, you can take bus 6015 from Incheon Airport and get off at "TMark Hotel Myeongdong" bus stop and then walk for about 100 meters to your hotel. Is there only 1 bus-stop in Myeongdong? Will it be the same bus-stop if I want to go to the airport? Yes, it is the same bus stop for bus 6015 to go to the airport from Myeongdong. Hello. My family and I will be staying hotel staz hotel myeongdong 1 on December. Can you please let me know how to reach this hotel from incheon airport thru bus 6015 ? If you take bus 6015 to Myeongdong, you can get off at either Rolyal Hotel (Euljiro 1-ga) bus stop or BestWestern Gukdo Hotels (Euljiro 4-ga) bus stop and then walk for about 600 meters to Staz Hotel Myeongdong 1, which is located in the middle way of this two bus stop. Hi, I will be staying at Philstay central hotel. Should i take 6015 6001 and which stop I should get off ? Thank you very much for your information. For Philstay Central Hotel, you can get off bus 6015 at Myeongdong Station bus stop and then walk to the hotel about 250 meters. hi, i will be staying at Namsan City Hotel Myeongdong, Should i take 6015 or the subway? If i take the bus, which stop should i get off? Many thanks! For Namsan City Hotel Myeongdong, you can also take bus 6015 and get off at Namdaemun Market bus stop and walk to the hotel. Alternatively, you can also take AREX train from Incheon Airport to Seoul Station and then take LINE 4 subway from Seoul Station to Hoehyeon Station (only 1 station away). Namsan City Hotel Myeongdong is very near Hoehyeon Staiton. I will stay at Summit Hotel Dongdaemun, what bus should I take and which stop should I get off? Thanks. Hi, i am arriving Seoul next week and staying at Sejong. Is bus 6015 the right bus no to take and which bus stop to alight? As i am travelling with young and old, would you have any idea how far it is to walk from the bus stop to the hotel? Yes, you can take bus 6015 from Incheon Airport and get of at Myeongdong Station bus stop. From the bus stop, walk in slightly up hill direction for about 70 meters to reach Sejong Hotel. Hi!, I'll be staying at Lotte City Hotel, myeondong. Which is the nearest bus stop if I take bus 6015 from Incheon Airport? Happy New Year! You can get off at Royal Hotel (Euljiro 1-ga) bus stop if you are taking bus 6015 from Incheon Airport. Hi there, would appreciate for some advise. I'll be staying in SeoulMom Guesthouse. which is the nearest bus stop if i take bus 6015 from Incheon Airport? For Guesthouse Myeongdong Mom House, you can also get off bus 3015 at Myeongdong Station bus stop and then cross the road using zebra cross and turn into Toegye-ro 22-gil. Please advise if airport limo buses #6001 and #6015 stop anywhere near Hotel Kyoung Dong. How long is the limo bus ride from this location to ICN airport at 6:45 in the morning? Thanks. Hotel Kyoung Dong is nearer to the Namdaemun Market(Hoehyeon Station) bus stop for bus 6001 from Incheon Airport. The Limo bus ride from Namdaemun market to Incheon Airport is about 1 hour to 1 hour 15 minutes depending on traffic condition. Thanks for your advice. Can I also catch limo bus #6015 if I stay at Hotel Kyoung Dong? Can I pay on board and what form of payment do you advise? Thanks. I'll travel to Korea on 1 March 2017 and will stay at Hotel Mido Myeongdong. Can you please tell me how to go to hotel from Incheon Airport by bus and train? You can take bus 6001 from Incheon Airport and get off at Namdaemun Market(Hoehyeon Station) bus stop which is near to Hotel Mido Myeongdong. Alternatively, you can also take AREX train from Incheon Airport to go to Seoul Station. At Seoul Station, change to LINE 4 subway to go to Heohyeon Station (only one station away from Seoul Station). Thank you very much. Have a nice day ahead. Hi, hope you are having a good day so far. I'll be travelling to Korea with my mother this March and we will be staying at Holiday Inn Express Seoul Euljiro (61,Supyo-ro, Jung-gu, Myeongdong, Seoul , South Korea, 100-845). It will be great help if you would advise on how to get from the Incheon airport to our lodging. For Holiday Inn Express Seoul Euljiro, Myeongdong, you can take bus 6015 from Incheon Airport and get off at Royal Hotel (Euljiro 1-ga) bus stop, which is one stop after the Ibis Myeongdong bus stop. After getting off the bus walk forward for about 150-200 meters and you will see your hotel on your left across the road. Have a good time in Myeongdong with your mother. I will be staying at L7 Myeongdong Hotel. May I know which bus stop (bus 6015) should I alight & how far do I have to walk. For L7 Myeongdong Hotel, just get off bus 6015 at Myeongdong Station. You can see the hotel on your right hand side after getting off the bus. For hotel skypark myeongdong 2, you can take bus 6015 from Incheon Airport and get off at Royal Hotel (Euljiro 1-ga) bus stop. This bus stop is one stop after Ibis Myeongdong bus stop. We will be staying in Myeongdong Guesthouse Como. Can you tell us direction from and to Incheon International Airport. You can take bus 6015 from Incheon Airport and get off at Myeongdong Station bus stop. After getting off the bus, you need to cross the road to get towards EXIT 1 of Myeongdong Station (subway) to get to Myeongdong Guesthouse Como. Hi, I will be bringing my old folks who are in their 70s to seoul for the first time, at the end of April. I am intending to stay at Tmark Grand Hotel, is it a good choice? I would want to stay in LUMIA hotel and it says that it is near exit 1 of Hoehyeon Subway Station. What is the best/cheapest way to get there? Hi I'm staying at Hotel PJ Myeong Dong. What is the transport option going to Airport? My flight is early morning on next Monday. Hence, any transport still available early in the morning or I have to travel to Airport on This Sunday itself. If you stay at Hotel PJ Myeongdong, you can take bus from Chungmuro Station bus stop near the hotel (same bus stop as arrival from Incheon Airport). The first bus start at 4:25am. and the journey will take about 75 minutes from Myeongdong to Incheon Airport. We arrived on July 7 and took 5:55pm 6015 bus to PJ hotel Myeong dong. Since this is our first time visit Korea. We showed my hotel address to the bus driver and we nodded. During other customers got off from at their destination， i approached the bus driver again， this time， he showed me the baby finger and told me the last stop. All the sudden with heavy rain， he shouted at us to get off yhe bus. While he helped us to load off our luggages from the bus， i asked me again the direction of our hotel. He pointed his back to us and left us alone. We had no umbrella， our family carried all the luggages and ran over to nowhere. We ended up found out we were at the wrong place. We were so upset about this terrible experience. We want to pass this message to this driver， we asked becasue we dont know， not becasue we want to give you extra work or trouble. I would be visiting Seoul in mid-december, bringing my elderly mum along. In terms of convenience (location), is Nine Tree or Hotel Prince better? If I take airport shuttle from Incheon airport to either hotel, may I know which bus stop should I alight (for the benefit of my mum)? Do both Subway Exit 8 and 2 have elevator and escalator, from platform to ground level? Really looking forward to the Dec tour. Equally convenient I would say as they are almost opposite each other separated by the main road. If you take bus 6015 from Incheon Airport, the bus stop to alight is "Myeongdong Station" bus stop. After alight, if you stay at Prince Hotel you need to cross the main road using traffic light zebra cross. You do not need to cross the road if you stay at Nine Tree Hotel. In terms of escalator from subway platform to the ground level, you can use EXIT 7 if you stay at Nine Tree Hotel side or EXIT 2 if you stay at Prince Hotel side. Hello. We will be staying at Philstay Myeongdong Station. How do we get there from Incheon Airport? If you stay at Philstay Myeongdong Station, the easiest way is to take bus 6015 from Incheon Airport direct to Myeongdong and get off at Myeongdong Station bus stop. After get off the bus, walk into the alley before EXIT 8 of Myeongdong Station to get to Myeongdong 8-ga gil where the hotel is located. Hi, if I have 2 large luggages and we will stay at Prince Hotel, is it better for us to l take the airport bus to my hotel or with subway to myeongdong station ? is there any elevator or escalator at subway exit 2 to prince hotel? because if there's only stairs it's hard to bring out the large luggages.. If you have large luggage, it is easier to use direct airport bus from Incheon to go to Myeongdong Station. If you use train, you will need to change train line from AREX train line to Subway Line 4 at Seoul Station, which requires you to walk with your luggage. If you still want to use train, you should exit Myeongdong Station with EXIT 3 which has escalator. 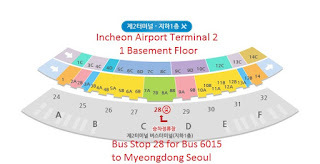 For bus, you can take bus 6015 or bus 6001 directly from Incheon Airport to Myeongdong Station bus stop. If you take bus 6015, you will need to cross the main road with traffic light zebra to get to Prince Hotel located just opposite the bus stop. If you take bus 6001, you will arrive at the same side of the road as Prince Hotel and just need to walk briefly (about 60 meters) towards EXIT 3 and then EXIT 2 to get to Prince Hotel. Thanks for your information.. may i ask you more question? i will go to seoul around 15-24 january, and i want to play at everland. is everland open on winter? and can we ride the roller coaster while winter? thanks..